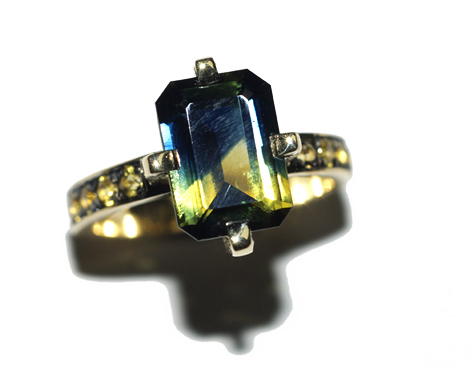 You have to see this beautiful parti sapphire ring. Made up in 18ct yellow gold. The shoulders are also set with sparkly yellow sapphires. The photos just dont do it justice. Hot off the press and on the shelf now for you to try on.